Play the cutest hexa match puzzle game ever! We work hard to make sure our apps and games always provide a wonderful experience! Tired of battery draining apps? No worries, our attention to details is legendary! Our apps and games are specially designed to work great on both mobile phones and tablets! With 16 languages and counting, our apps support the mother tongue of more than 3 billion people! Make 64 might be the perfect game for you! The game is completely free and doesn't use invasive ads. The user interface has been specially designed for both mobile phones and tablets. Download Make 64 and give it a try today! Daily Horoscope has been installed by more than 2 million people! Your horoscope automatically updated on a daily basis. Characteristics of each zodiac sign. Widget lets you read your horoscope directly from your home screen. 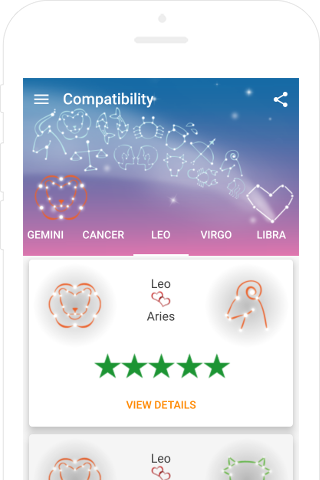 Love Horoscope is the best horoscope app for all heart related matters. Fresh look & feel following the latest material design guidelines from Google. The app is completely free and doesn't use the invasive ads that plague similar apps. English, Spanish, French, German, Dutch, Portuguese, Turkish and Russian! Our Bible app brings you closer to the Word of God thru a refreshing experience. English, Spanish, Portuguese, German, Dutch, Danish, Italian, Korean, Russian and many more! Download the Bible app and give it a try! If your question is not covered here, please send us an email to support@codeblenders.com and we'll get back to you asap. QThe app installation from Google Play keeps failing, what's wrong? Please follow this troubleshooting guide written by the Google Support team. QI would like to get rid of ads, what can I do? You can make a small purchase to remove all ads and enjoy an even more delightful experience. Open the drawer menu, select the ‘Remove Ads’ option and follow the instructions. Your opinions and suggestions are invaluable to us and will be very much appreciated! Icons made by Madebyoliver from www.flaticon.com are licensed by CC 3.0 BY.